Great idea to showcase around the shows. May motivate more to come on board, continuing to keep in play the breeds that have been preserved and passed down over many years, since poultry shows began in Victoria over 150 years ago. Congrats!! What a great way to start the year!! 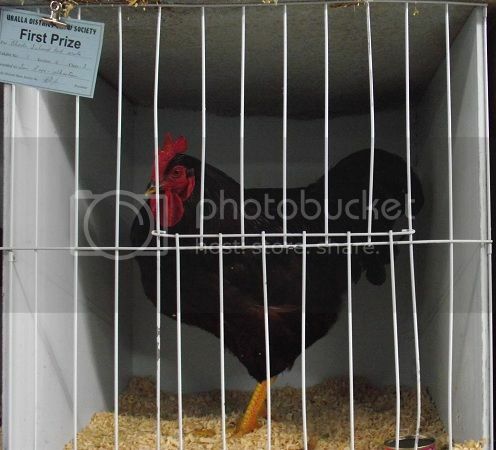 Last edited by New England Poultry on Tue Mar 19, 2013 4:12 pm, edited 2 times in total. Thanks New England Poultry for uploading your pic. 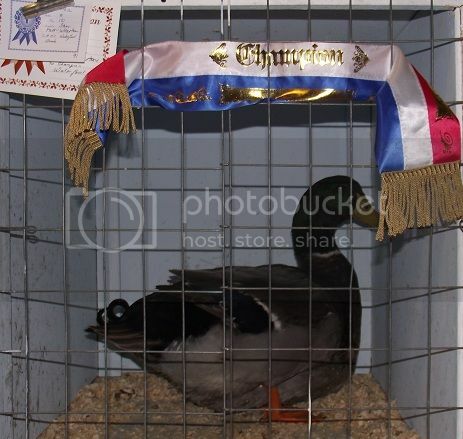 Could you please edit your post to let us know what show your drake won champion waterfowl at? Champion Millefluer, Champion d'Uccle, Champion Belgian Bantam Royal Melbourne Show 2013 YEA!!! Congratulations on your wins with your Belgians they looked very good. Barabool! It was your d'Uccles who I was oogling! I have some piccies of your birds in the show thread. They were gorgeous! I wrote you name down because I wanted some haha! My partner had to talk me out of stealing them. I could have fit 2 in my bag easily. The blue red fella What did you get Blackleghorn? Sorry is RMPS for Royal Melbourne Poultry Show at the RASV (Royal Ag Society Victoria ) Melbourne Showgrounds? Thanks very much, I was one happy happy lady, the competition in the Belgians was very tough. Also got best Porcelaine, but it was the only in the class, but I'll take the win. 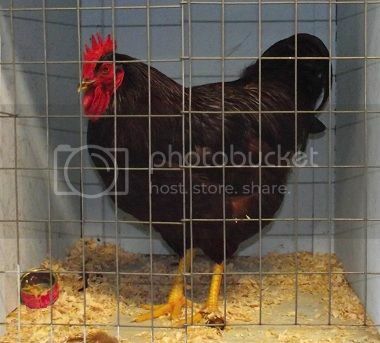 Other good result was champion Plymouth Rock Bantam, with a Silver Pencilled, this time only Bantam Rock at Show! But hay, it be interesting to see that in the results book, that will turn a few heads, . Good show but would have loved a ribbon to take home as a memory for th cabnet. Well done to all the other winners. Arquella, thanks for the nice comments, but glad you didn't have a bigger bag with you . Nice pics you took too, she wouldn't stand for me ready to go home I think. Don't tell anyone, it was the only one in the class, all that matters is it came first. It was a great day and i am very happy with the results. Did anybody else show on the day?